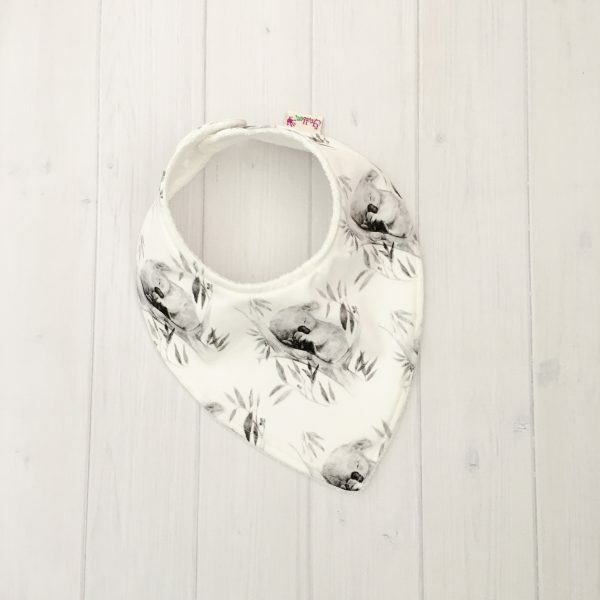 Our Sleepy Koala dribble bib and traditional bib uses a gorgeous printed fabric designed by a talented Australian artist. The fabric is printed right here in Melbourne and then sewn by me in my home studio. These bibs make a perfect gift for babes of all ages. Modern, fun and practical. 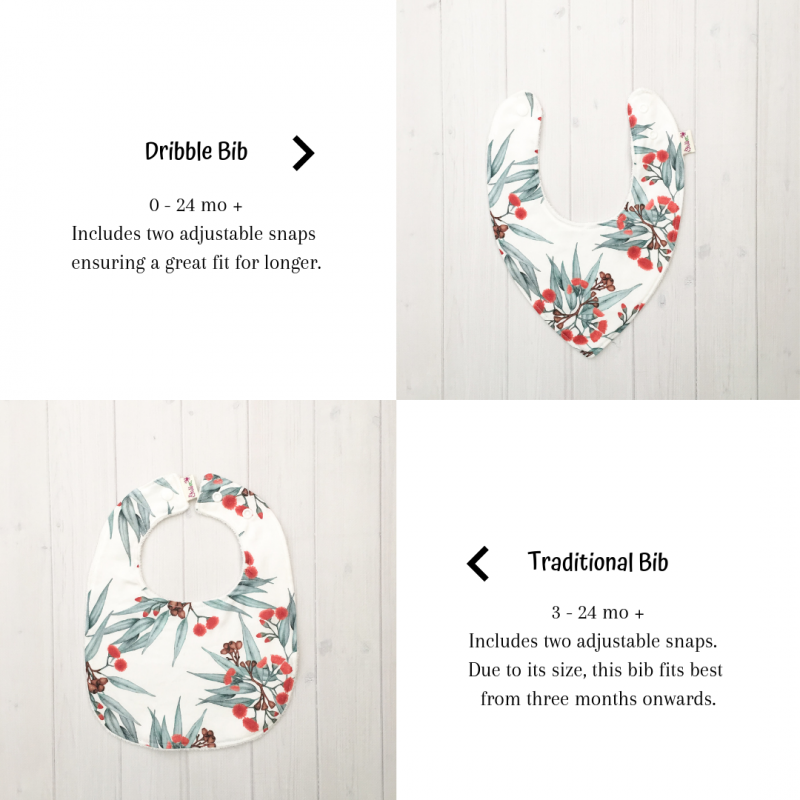 Each bib includes 2 industrial strength snaps which allow an easy fit from birth to toddler. All our bibs are backed with a beautiful bamboo/cotton terry towelling and the fabric is printed right here in Melbourne. We love supporting local business. Bamboo has amazing qualities which is why we love to use it. Bamboo is naturally anti bacterial, anti fungal and odour resistant. It helps reduce bacteria that thrive on clothing and skin. And best of all, it becomes more absorbent after a few washes. We love how it feels, and your baby will love it too.